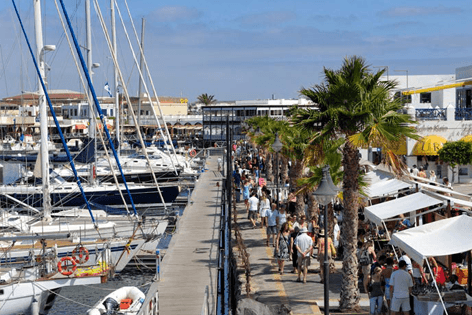 Sail from Fuerteventura to do shopping in Lanzarote on an express ferry direct to Playa Blanca’s Millionaire Marina Rubicon to get some really cool bargains on hand crafted Canarian products. Relax on a luxury Catamaran and some fun water activities. Shopping in Lanzarote is a great excuse and an opportunity to visit two islands in only one vacation! The Lanzarote Shop and Sail excursion will take you from Corralejo, Fuerteventura to Playa Blanca, a sophisticated resort of Lanzarote. 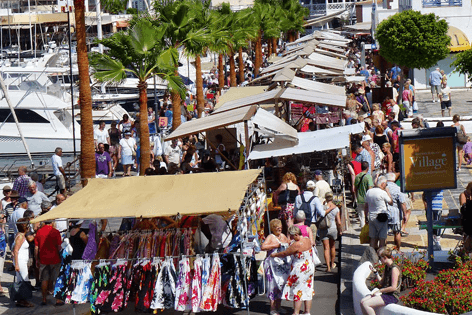 11.15 : Arrival in Marina Rubicon, You have free time at the market until....12.45. Browse, bargain and buy local Canarian handicrafts and food. 14.00 : Enjoy a scrumptious Freshly made Paella served for Lunch. 17.00 : Arrive in Corralejo. 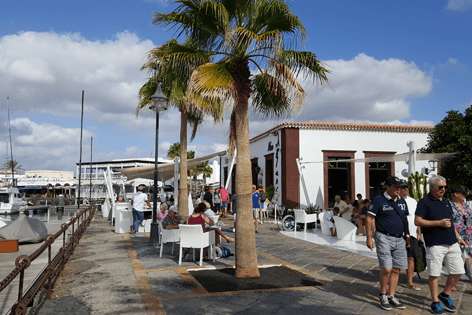 The Lanzarote Shop and Sail excursion is ideal for couples and groups looking to do shopping in Lanzarote, plenty of adventure on a luxury catamaran, water activities at Papagayo bay, Exclusive Marina access, All inclusive bar on the boat. 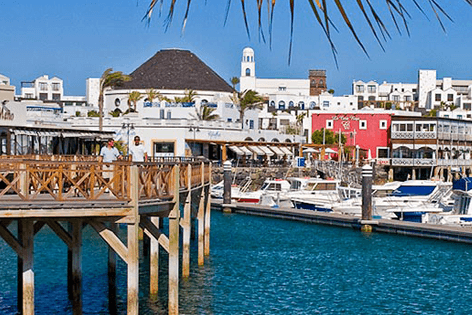 After your ferry reaches Playa Blanca you have all the free time to explore Playa Blanca, one of the most sophisticated and popular tourist resorts of Lanzarote. It’s boardwalk has many shops, restaurants and bars. In the harbor, Marina Rubicon which was recently built there are lots of shops where you can bargain and buy some local Canarian handicrafts as gifts and souvenirs. Also checkout Spanish designer boutiques where you can buy yourself some amazing and stylish clothes. After your shopping experience in Playa Blanca you depart Marina Rubicon on the Princess Cat Catamaran which takes you on a 3 hours Sail. Relax by sipping mojito cocktail. The Catamaran also has Free Bar/ Sangria / Beer / Soft Drinks. The Catamaran later reaches the white sands of Papagayo Bay where you are relish freshly prepared Paella. You are free to enjoy water activities in the crystal clear waters like Swimming, Snorkeling, Kayaking and floating mattresses. You can also choose to explore the bay or sit back and relax in the all inclusive bar. Finish the day in style by sailing back to Playa Blanca right in time to take the express ferry to Fuerteventura. 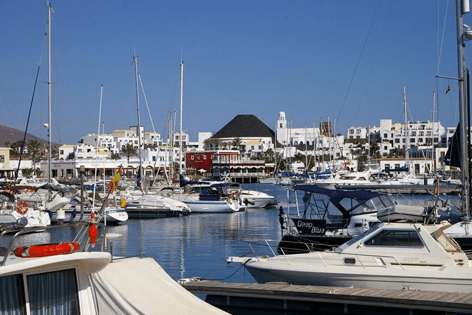 Book the Lanzarote Shop and Sail excursion and enjoy your time in Playa Blanca doing shopping, 3 hour Luxury catamaran sail, adventure water activities, free bar with drinks and freshly prepared Spanish Paella and lots of fun and memories.